I was so happy when I found out that I was finally going to visit Japan again. 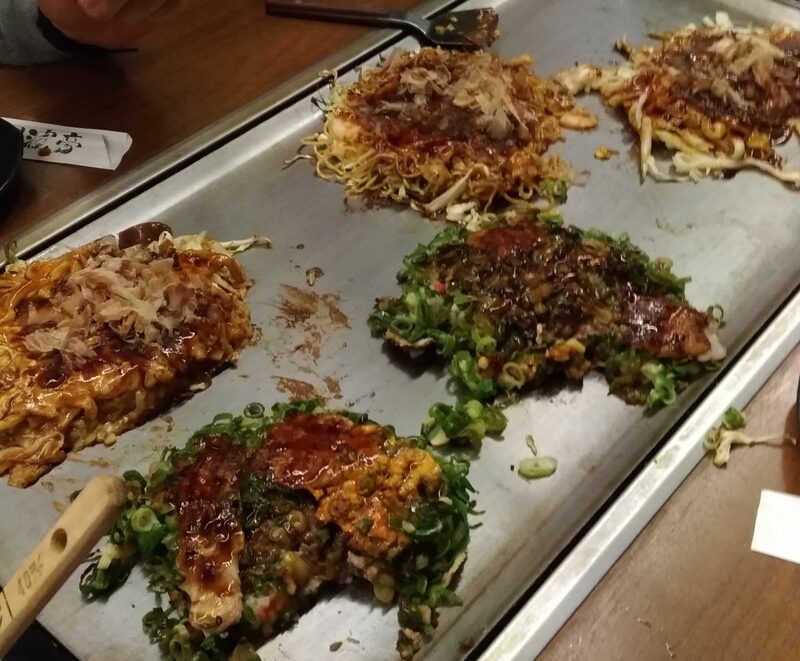 At our arrival, we had a huge jetlag but somehow battled our way through by eating some delicious Okonomiyaki near our hotel. I’ve been missing this dish so much (as there is no place near Munich where you can get it) that it tasted even better. On the next day, we went for an awesome morning session at B-Pump Ogikubo. To me, this is one of the best bouldering gyms in the world. It may not be huge, but the amount of well set and hard boulders is absolutely stunning. You can really tell that the Crew puts in a lot of effort in every boulder, no matter if it’s a 6a or an 8b. Due to our late arrival in Tokyo, we could only do one session before the comp. I would love to stay longer in this awesome city and maybe visit some more gyms. Of course, I didn’t miss out on eating Sushi in Tokyo. 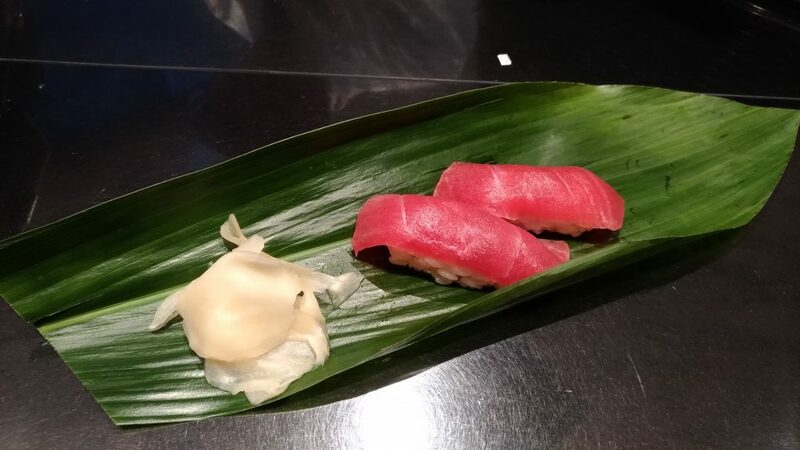 Sushi in Tokyo is such a big difference to anywhere else in the world. Even the boxed sushi from the supermarket tastes better than most sushi restaurants in Germany. The comp was upper cool too. In my opinion, it was one of the best-organized comps in a while. There weren’t any technical problems or delays and it went down really nice and fluently. It was also one of the most spectator-friendly comps ever, but I’ll get back to that later. It was kinda awkward competing in the evening as this is the only comp where women qualis is in the morning and men qualis in the evening, but I really enjoyed not having to stand up super early. During warmup, I felt really good and strong and I think my mindset was also pretty on point. I also think that I climbed quite good during qualifiers, even though I did not get a single top. I fell on the top moves of boulders Two and Three several times and I think I could have done them. Still, I placed 18. in my grouo and 37. overall which isn#t too bad, but unfortunately, that means not having any World Cup points in Vail. As I said, watching semis and especially finals was awesome. They had terrific light projections to display a portrait of each finalist while they were climbing. 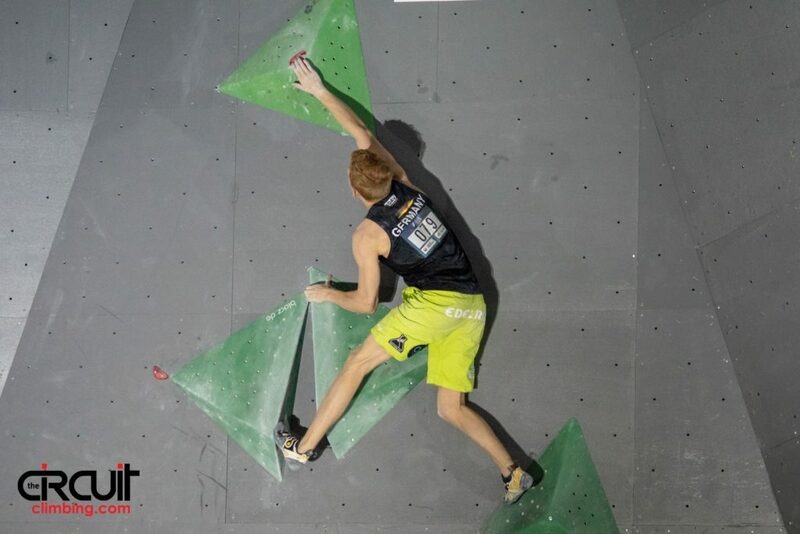 Furthermore, in front of each Boulder from Finals, the Boulder was presented in a 3D simulation on the screens. This way, you could get a better feeling on how good the jolds are and e.g. see if there is a small hold on a volume. After finals, I went to B-Pump Ogikubi again and had one last session in Tokyo.